A Not So Familiar View! 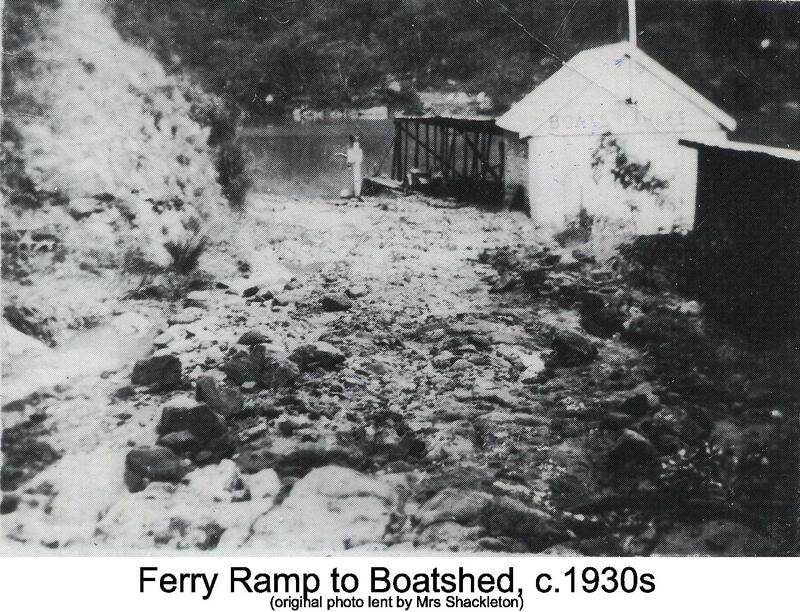 This view shows a location which both residents of and visitors to Berowra will be familiar with, the entrance ramp to the ferry at Berowra Waters, on Berowra Waters Road (Berowra side). Today, this is a carefully maintained, sealed, road with boom gates to ensure people don’t accidentally end up in our beautiful river before the mechanised ferry arrives. In the past though, this was a narrow, rough dirt road, strewn with rocks. You can even see the ‘hand crank’ for the old hand wound ferry which was then in operation! A fascinating yesteryear glimpse of a place we all know and love!